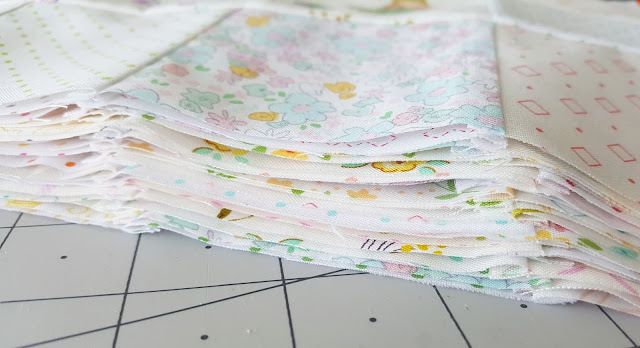 Chamomile QAL Week 4 and a Birthday Scrappy Trip! Before I get to this quilt, this week we are making half the sashing and assembling two rows of Chamomile!! 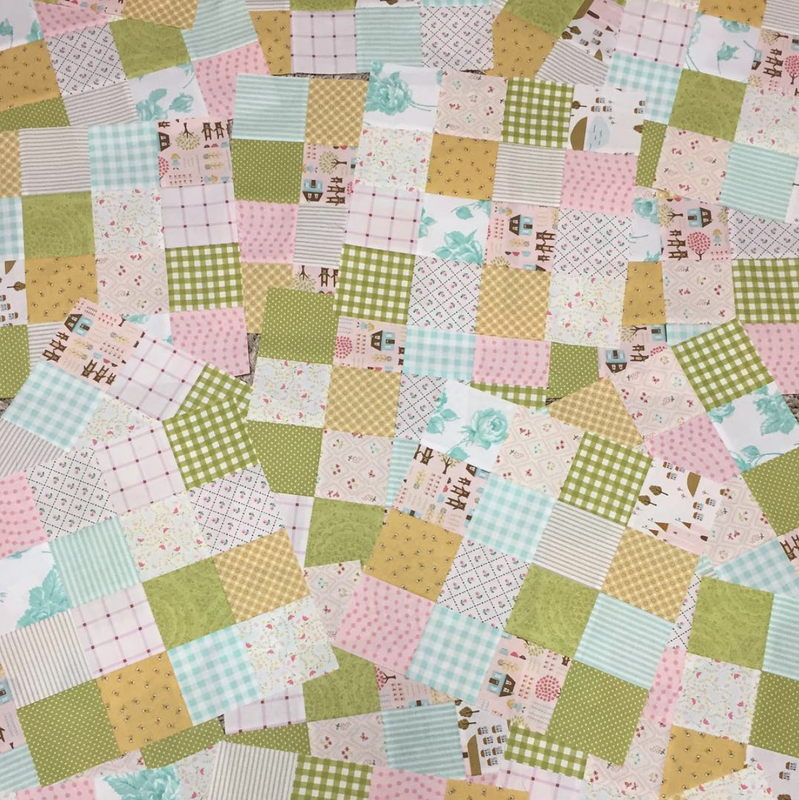 I broke it up this way because making the sashing for this quilt is so dang boring and I needed the gratification of some blocks together with rows. If you would like to make all the sashing this week instead, go right ahead. 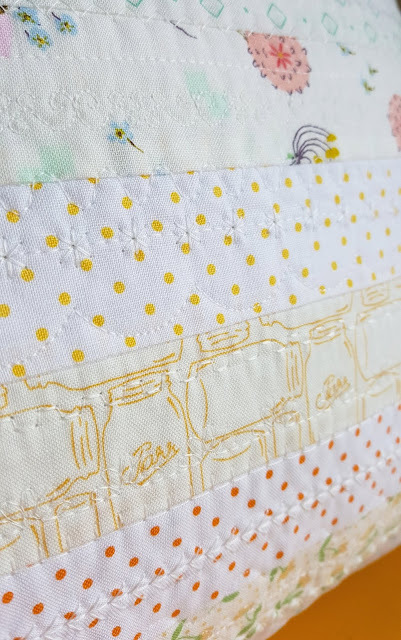 I'm super excited about how mine is turning out, but a wrench got thrown in the works this week when I broke the bobbin case on my Juki, so I only have one strip of sashing done! I put it in hurriedly and somehow the needle hit the case and bent it. I am going to do my best to catch up, but last time I got a machine serviced it took a week, so we will see. Continue as scheduled, and I will meet up with you hopefully by next week! This week's winner is @roxannehougardy!! You won three free patterns from @piecedjustsew, please DM her to claim your prize. Thanks so much for sewing along. While I'm here let me show you my latest finish- I made this quilt to be the birthday quilt at our house. So, if it's your birthday you get to use it on your bed for the week! I finished it just in time for boy #2's sixth birthday this week, and he is so excited about it. 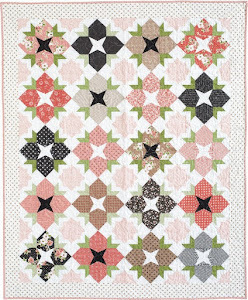 The pattern is a Modified Scrappy Trip Around the World, originally a free pattern by Bonnie Hunter that I changed to use alternating white squares, and larger blocks that maximize Jelly Roll strips. I originally made this version in Gooseberry fabric by Lella Boutique and gave that quilt to my niece. This time I used V and Co. Confetti Dot Ombre. 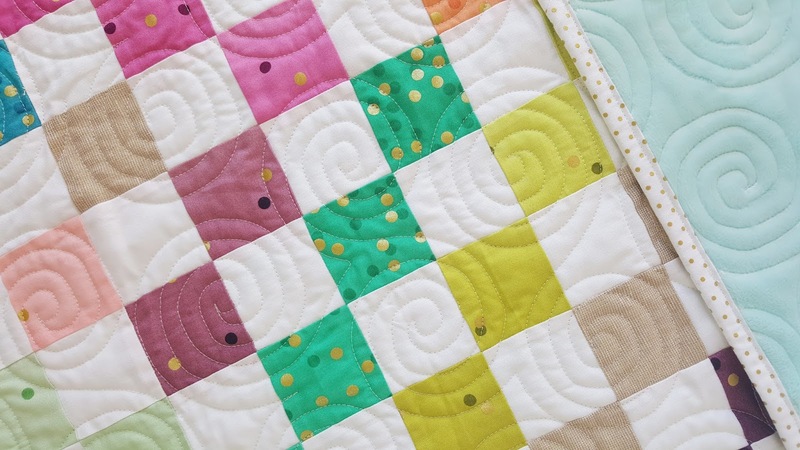 The gold metallic dots make the quilt so fun, just perfect for a birthday. 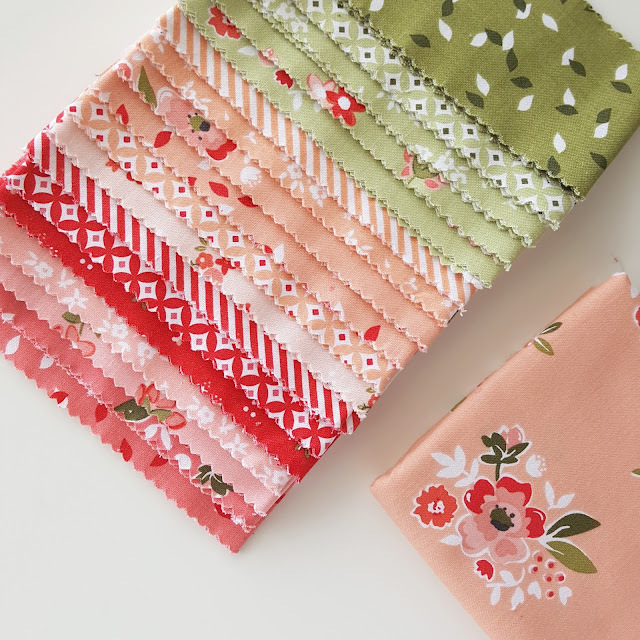 I actually didn't use a Jelly Roll this time, I only had 12 FQs of this fabric and later decided this is what I wanted to make with it. The original Scrappy Trip pattern is very random, kind of like this red, white, and blue quilt I made several years ago. For this one though, almost every detail was planned. Here's how I did it. -From the 12 different colored FQs, I cut: (5) 2.5" x 21(ish)" strips from each. I separated those into color groups- 4 groups of 3 colors, so that the darker colors would for sure be spread out evenly. 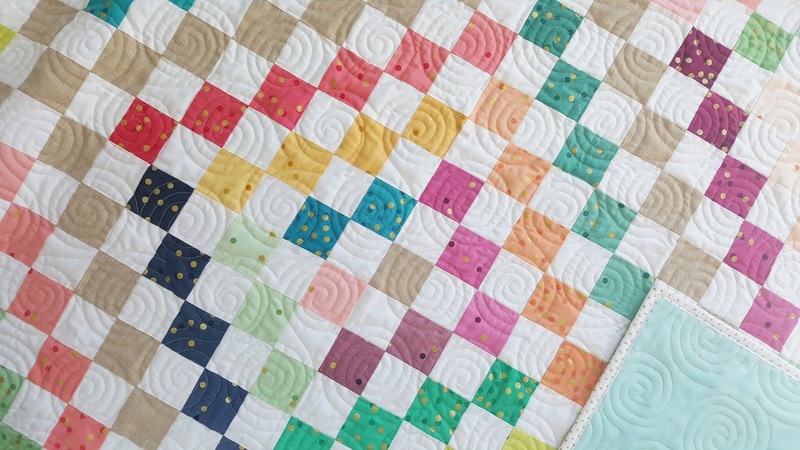 Each block had 3 colors and a gold strip, with the 4 white strips. I think it worked out great only having 12 colors. 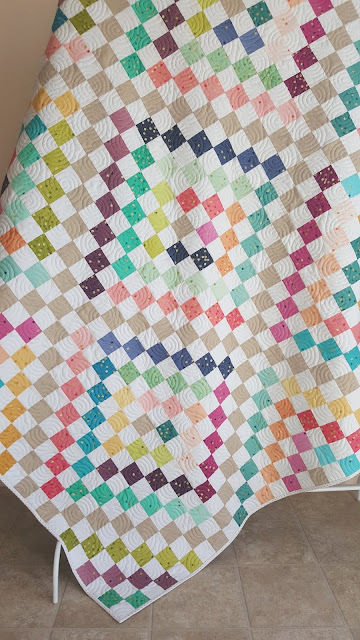 With the different ombre tones, all the colors from a Jelly Roll would have been way too much, plus I didn't love every color available. 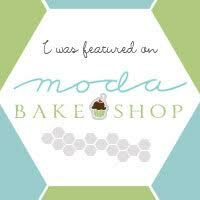 -I used a jelly roll of Moda Bella white 98 as specified in the original post. Hopefully I didn't make that too confusing! I love how it turned out. 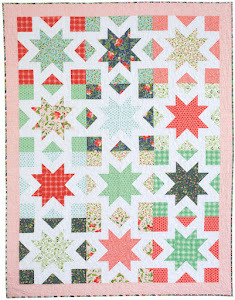 I had it quilted by Emilee Hathaway of Paisley Prints and Polka Dots because I wanted to use the aqua minky she carries. I asked her to do a certain design, and I don't think she had it, so she just did it freehand! Can you even imagine!? 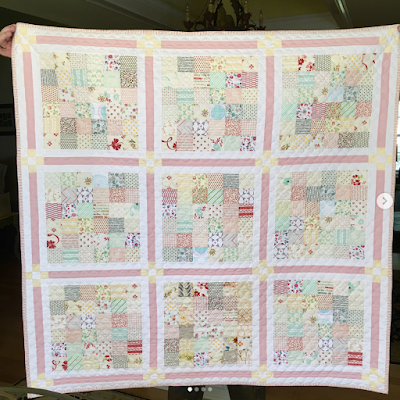 I was so surprised, and thrilled with the personal touch for this special quilt. Thank you Emilee! 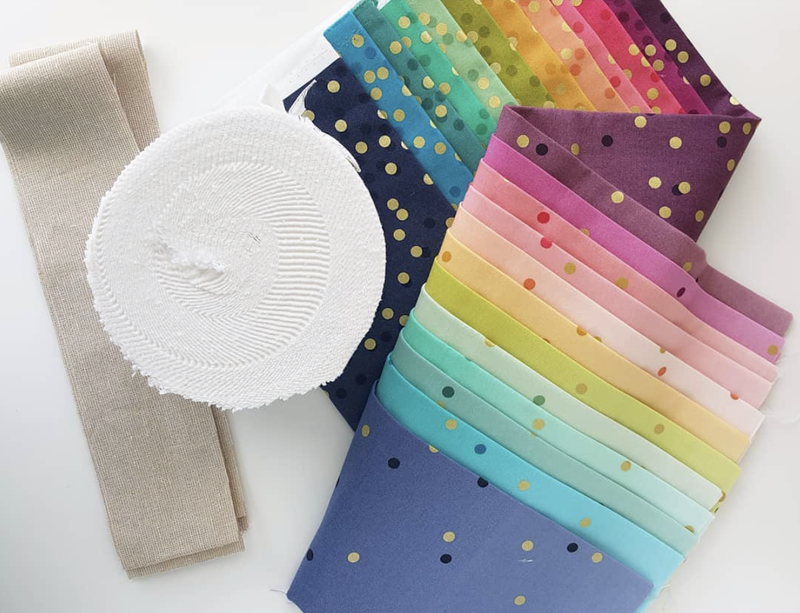 The binding is Swiss Dots in gold by Riley Blake Designs from Simply Love Fabrics. Swiss Dots are one of my favorite bindings and this one was just PERFECT. I was so happy to hand it over to my middle child to add to his birthday joy. He is so excited to use it this week, and honored to be the first one to do so. Thanks for stopping by, and see you next Monday with some hopefully beautiful Chamomile pics! Hello hello again. Welcome to Week 3! This week is all about finishing up blocks and making cornerstones. 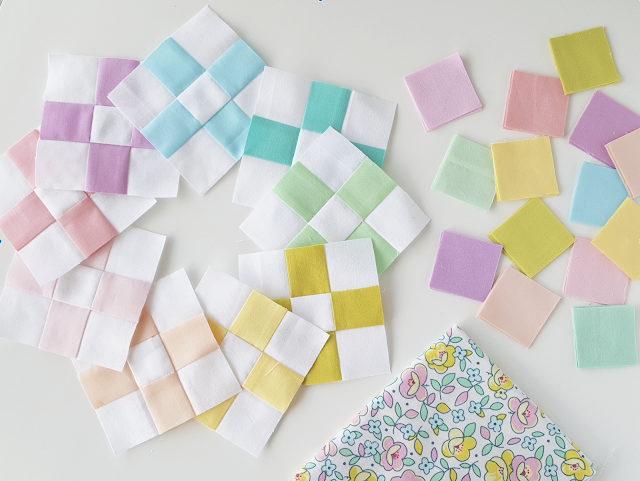 I think I'm the only one in the whole quilt along doing the cornerstones this way (from scraps)- they should all be one color, and according to the pattern are really fast to piece. I'll be doing some IG videos to show you some tips and tricks. Should be a pretty easy week! Here are some of the wonderful blocks you've been making! Don't feel rushed by other people's progress though, all in good time! 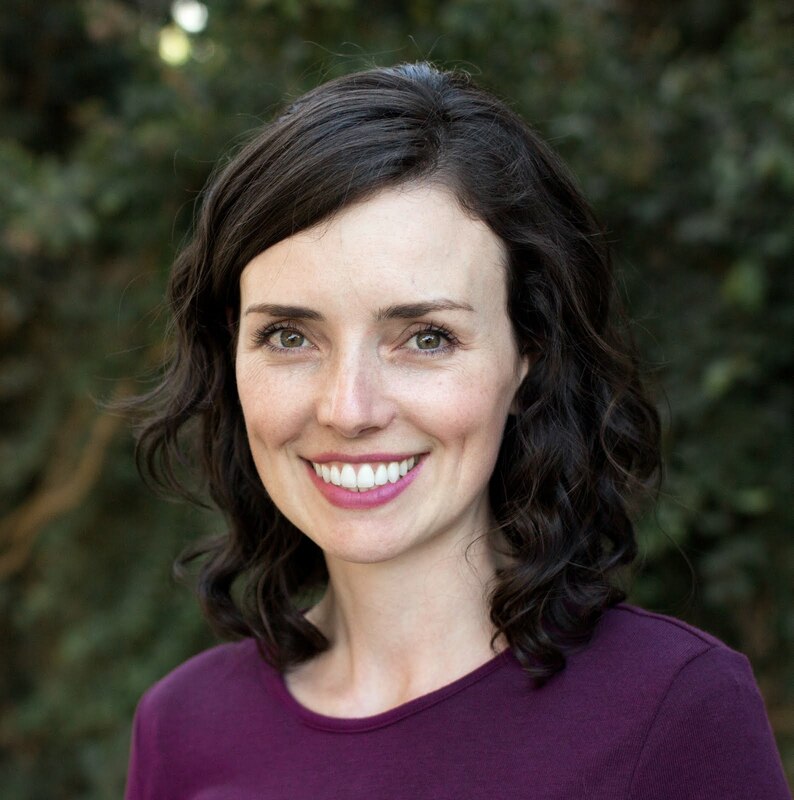 Let me know if you have any questions about cornerstones in the comments. Finally, last week's winner is @sauervicky!! Please send you address to @crimsonconfection via DM. 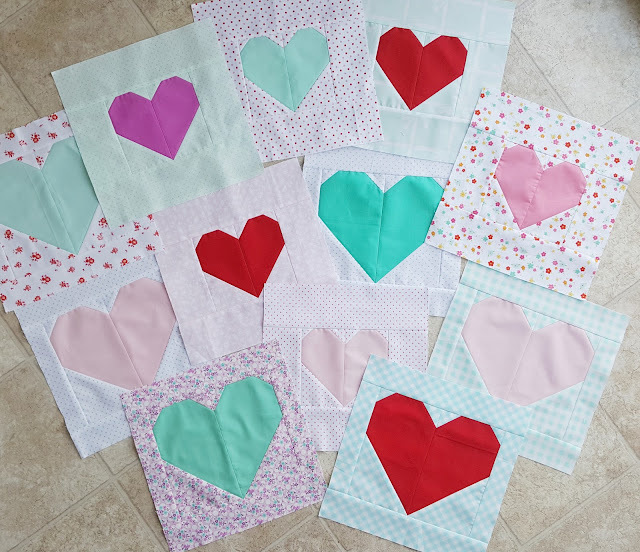 Thanks for sewing along! 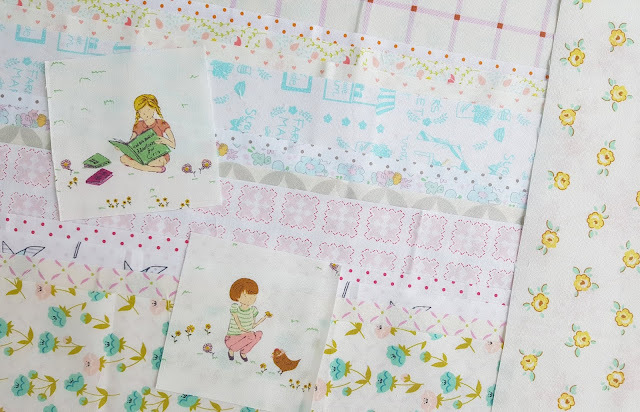 And thank you Jennifer for the beautiful bundle! Welcome back folks! How are those blocks coming? Here are my first 5 that I had to catch up on from last week. And here are all of them! Technically we are doing 10 blocks this week, but they are just about the simplest block around, so I just went ahead and finished all 20 while I was at it. 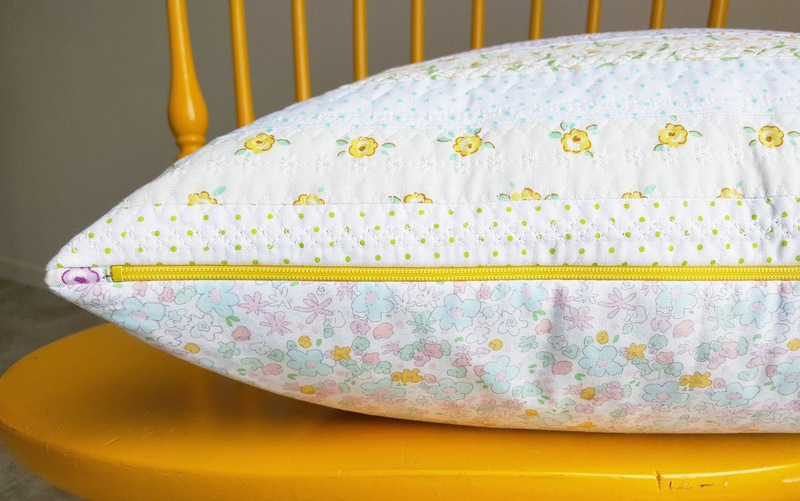 People always ask me about the zipper- you can find how I put zippers in pillows here. Thanks for playing along and we'll see you all next week for finishing up blocks (if you need to) and cornerstones! The prize is super pretty too! Welcome to the Chamomile Quilt Along! 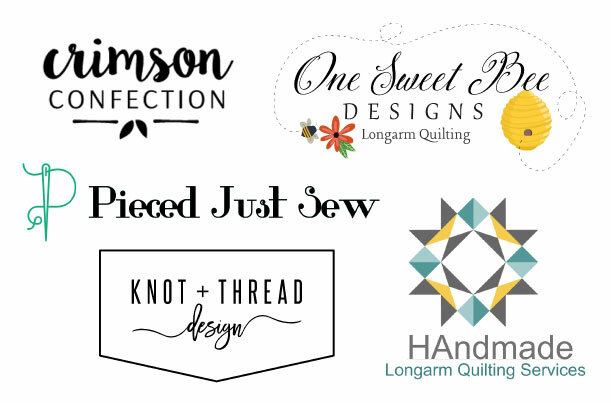 I am so excited about all of you sewing along with me, and a little nervous too. 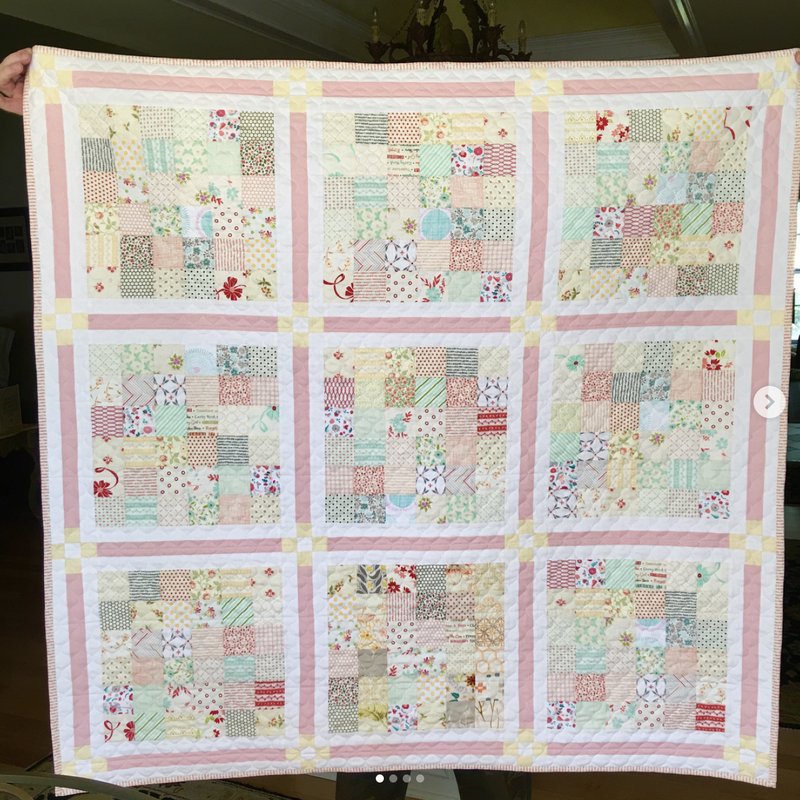 This is my first official quilt along for a pattern from my shop. Chamomile is a top 3 favorite and I'm so glad you are here to make one too! 1. Follow the pattern exactly. 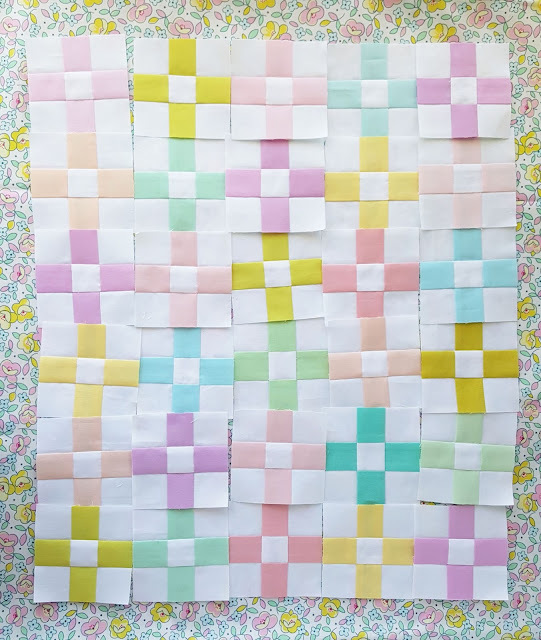 This gives you a majority of strips for faster piecing, and some squares to use to swap out and mix in fussy cuts if you'd like, or to just give it a scrappier touch. There's also a 1/2" margin for trimming space. 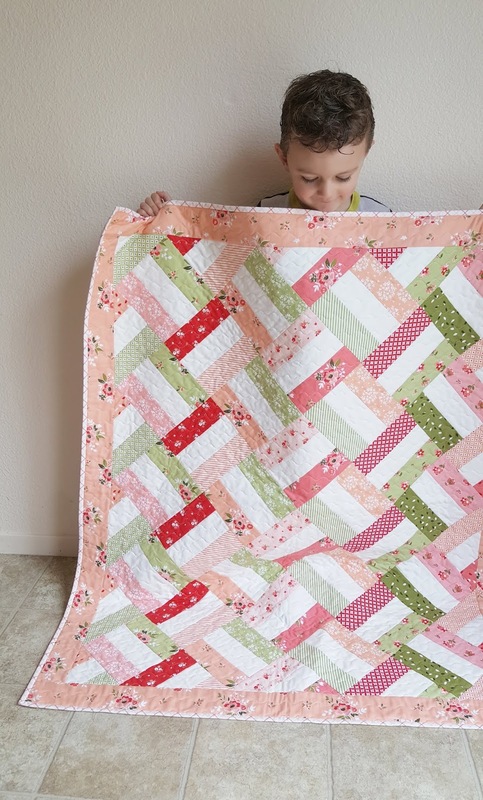 I did it this way first time, and used lots of fussy cuts. 2. You can opt to not cut a square off the end of your strips, sew the strips together as directed (they will be longer) and get FIVE strip sets from each instead of four. This will make your block piecing even faster! I'm going to do it this way this time, mostly. I only have 2 little fussy cut squares to mix in. Here I've got half on mine all ready to sew in sets of 4. 3. 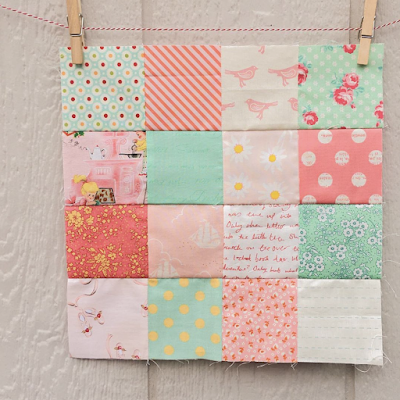 You can go totally scrappy, cutting all 3.5" squares for the whole project. Sewing will take a little longer, but the result will be amazing! My neighbor friend @kimradair is doing it this way. 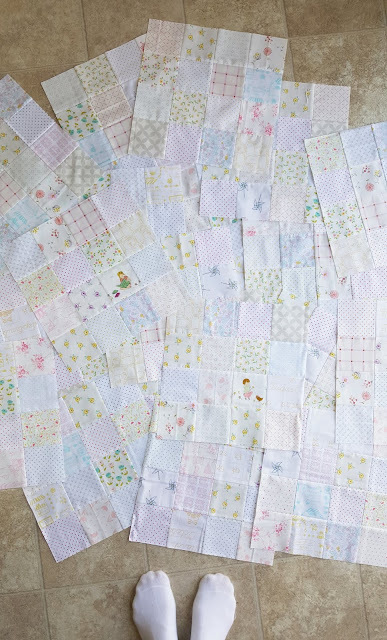 You'll need 16 3.5" squares for each of the 20 blocks. 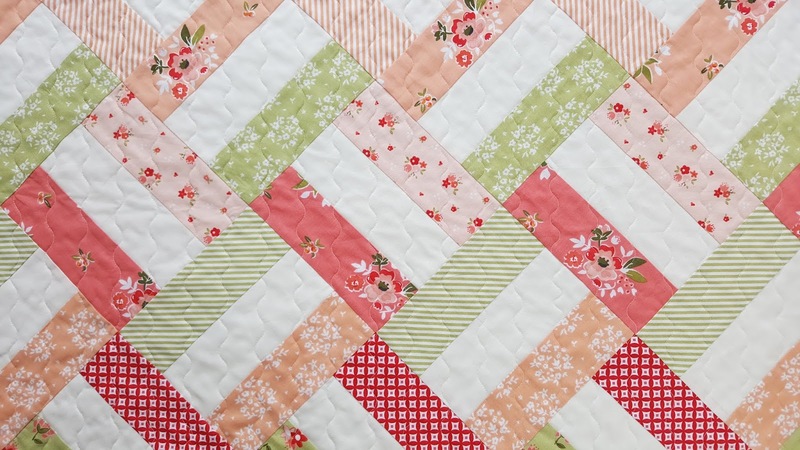 Special note: Some have asked if you can use precuts for this pattern. You can, if you alter it a bit. 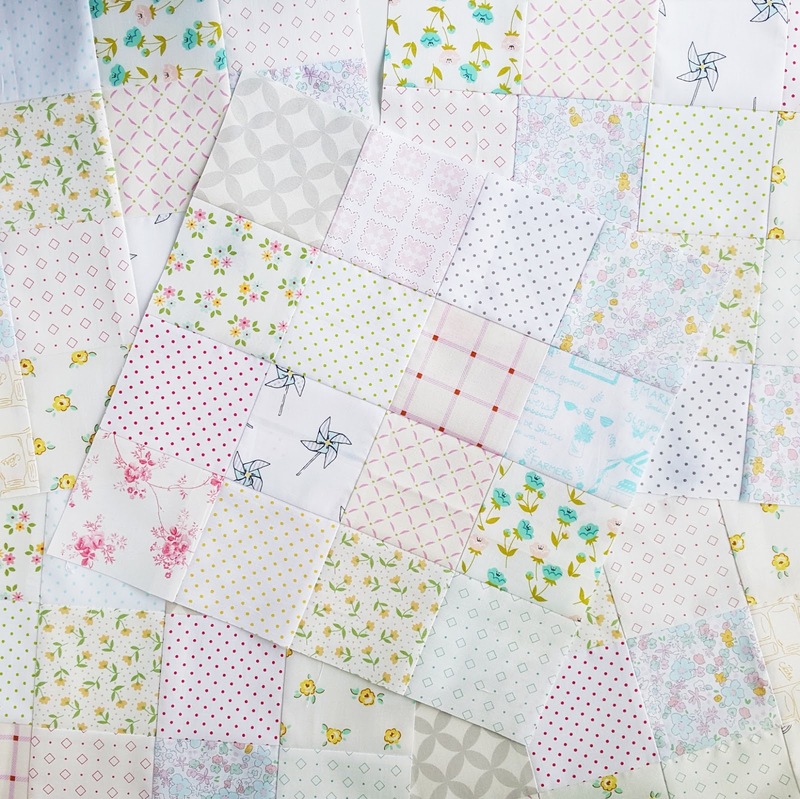 The best way to make the most of your precuts would be to use 36 2.5" squares for each block, sewing them together in a 6 by 6 grid to get the resulting 12" block. @sharita1 did it this way, and reduced the blocks to just 9 to make a baby quilt. The sashing and cornerstone cutting are pretty straight forward. Be careful with those skinny strips! I don't have a Stripology Ruler, but if you have one of those it would be pretty nice to have for this part! 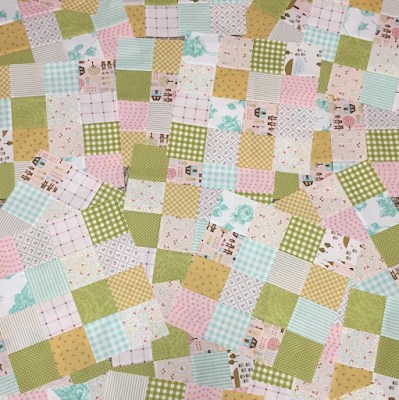 I am doing scrappy cornerstones so it's going to take much longer without the strip piecing, but I'm excited to use up some springy solid scraps. A few people who have made this pattern have preferred to have the colored and white parts inverted on the cornerstones, like in the picture below by @sistersquiltshop. If you want to get that look, cut 6 WOF strips from your cornerstone color, so a quarter yard might be a very tight squeeze! This one is just gorgeous. Let me know if you have any questions in the comments, and thank you for being here! 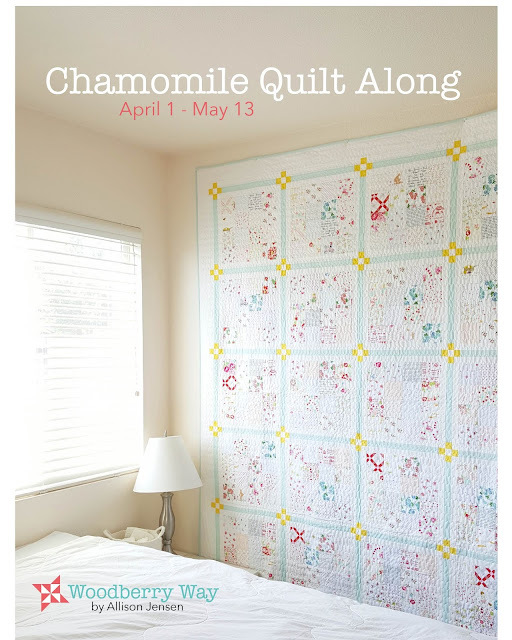 I have loved seeing your fabric pulls over at #chamomileQAL, this is going to be SO GOOD! If you haven't posted your fabric or cutting or progress yet, be sure to do so to enter to win this weeks prize, which is a surprise from me :) Enter to win by posting to the #chamomileQAL hashtag some time before midnight PST on Sunday. 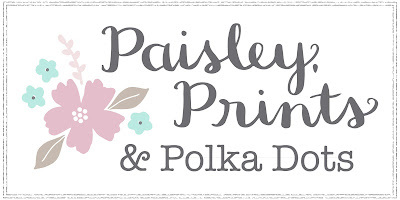 After that we'll start in an all the awesome goodies from these ladies! 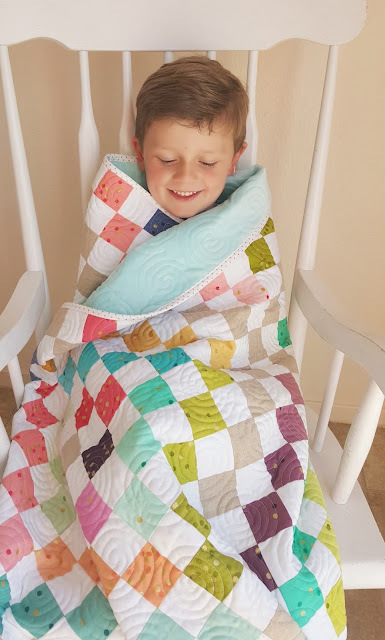 Recently I have caught on to the magic of a quilt along. If you're wondering what a quilt along is, according to Emily Dennis, a quilt along is a group of quilters making the same quilt pattern at the same time either virtually or in person. I never really knew how fun this could be until recently. 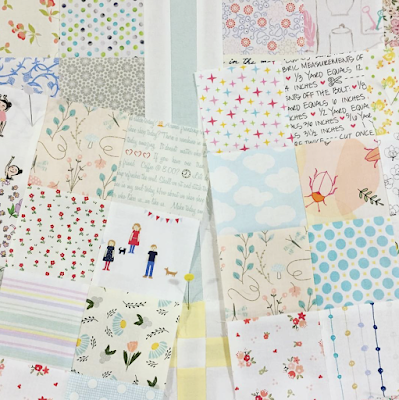 In January I was feeling overwhelmed with the year's creative commitments. 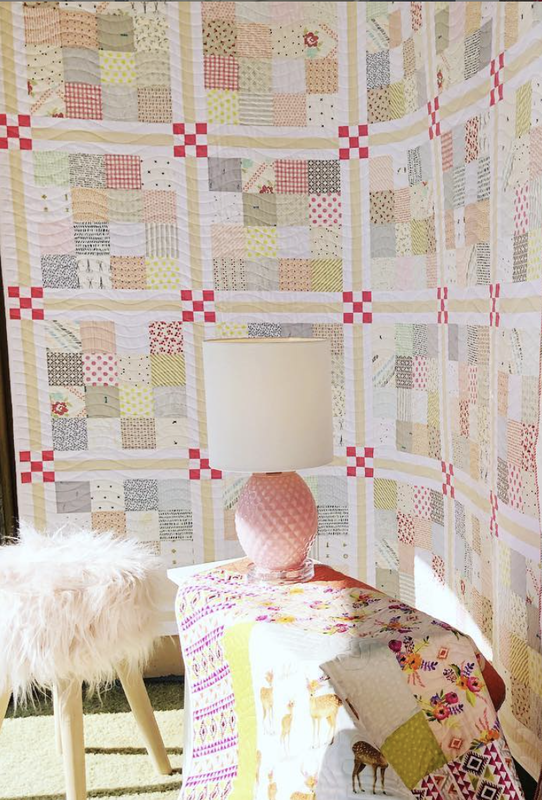 It just so happened that Then Came June and Pen and Paper Patterns were hosting a quilt along for I Heart You. 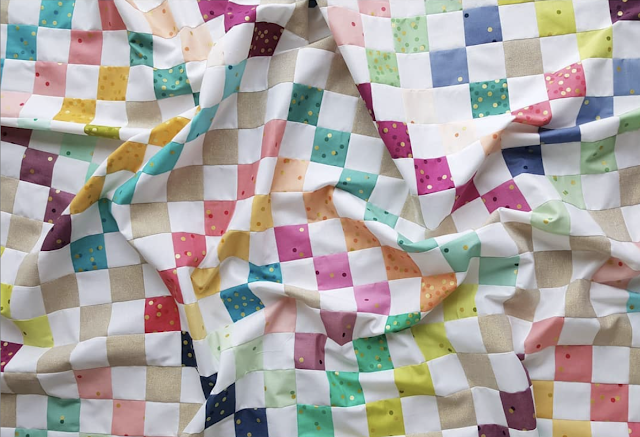 It captured my imagination, and the appeal of making someone else's pattern and not having to think or worry about it was very enticing. 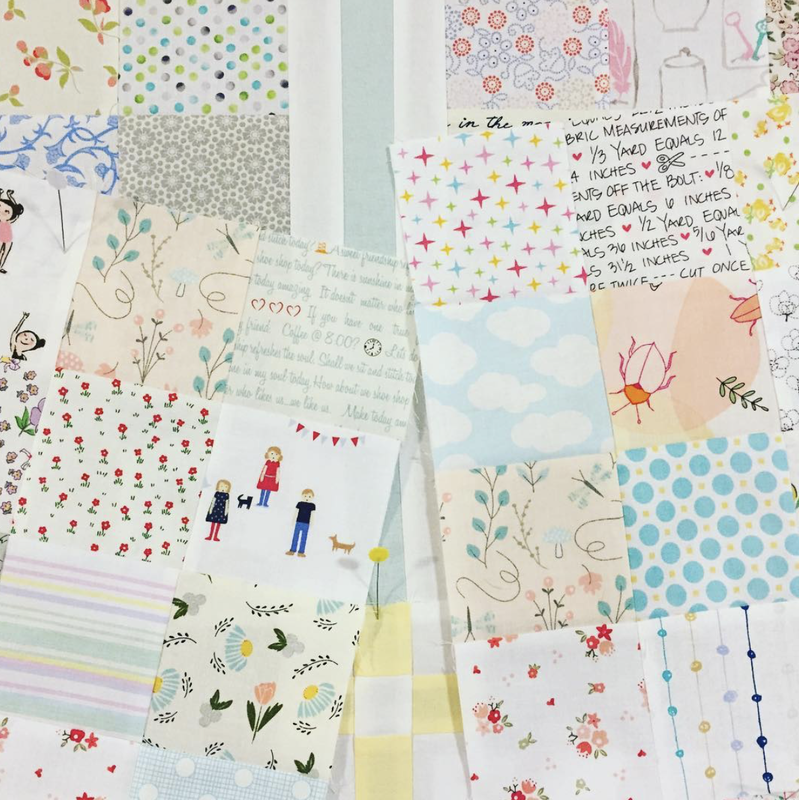 I joined the QAL, and was surprised to find that adding a fun, no-stress project to my to-dos helped me in a number of ways. 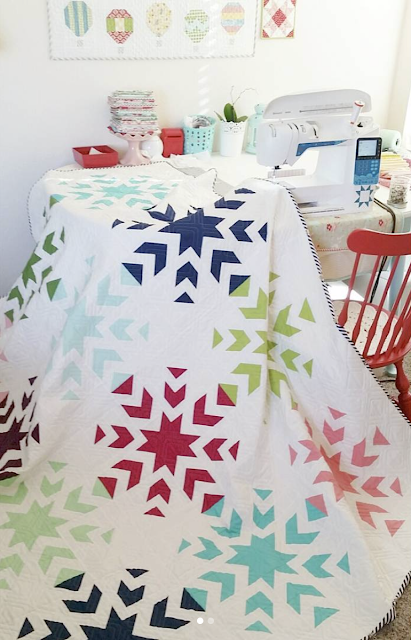 It got me into my sewing space without so much intimidation. It kept me happy and creating for joy. 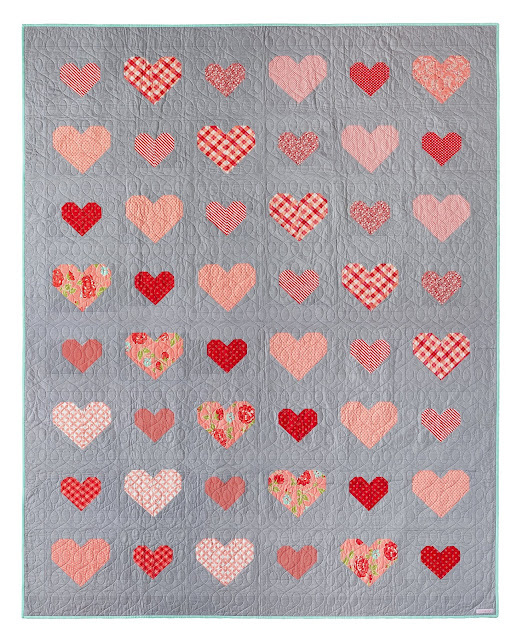 After that I also joined the Quilty Love quilt along by Emily Dennis. Following a timeline, sewing along with other people and being motivated by prizes made staying on track easy. 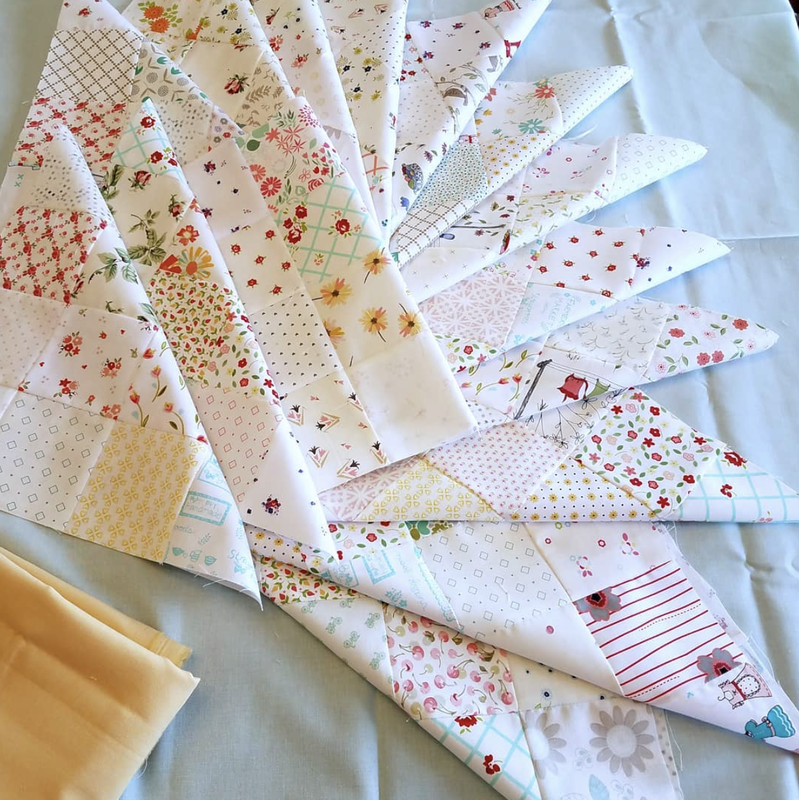 It also helped that both of those patterns were relatively easy and fast. 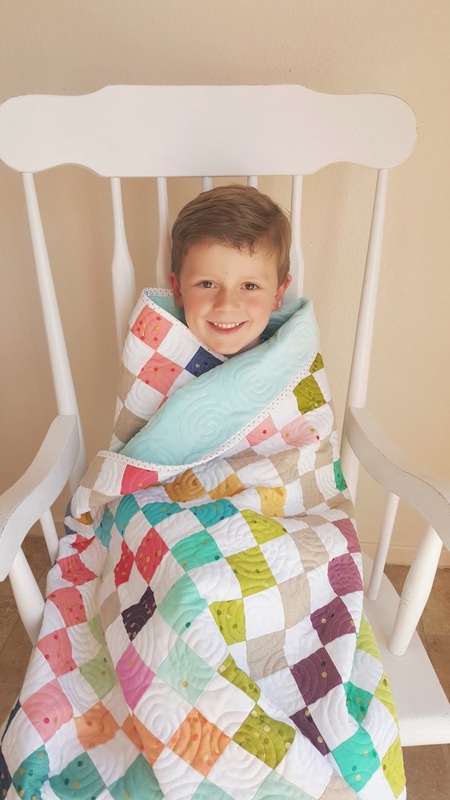 Also, I just love looking at the hashtags for quilt alongs to see all the beautiful variations and interpretations of the same pattern. It's so interesting and inspiring! 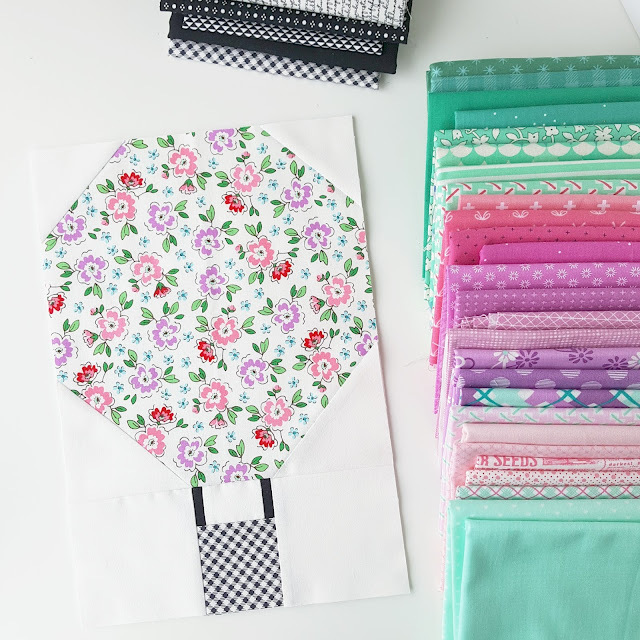 I had plans to make a few of my own patterns over again this year, since the originals were given away or sold. I thought it would be the perfect opportunity to have anyone who wants to make them join the fun. I've planned out a schedule of which ones I want to make and wanted to share with you so that you also can plan, and so I will be accountable. 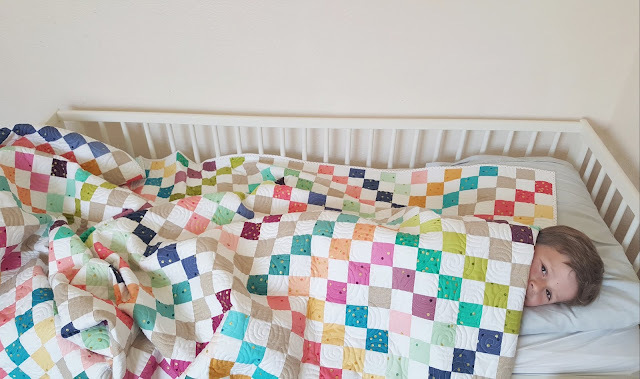 Don't worry, I'm not going to have a baby any time soon and have terrible morning sickness and exhaustion and not finish my own quilt along like I did with Folk Stitches. That was a rough season! 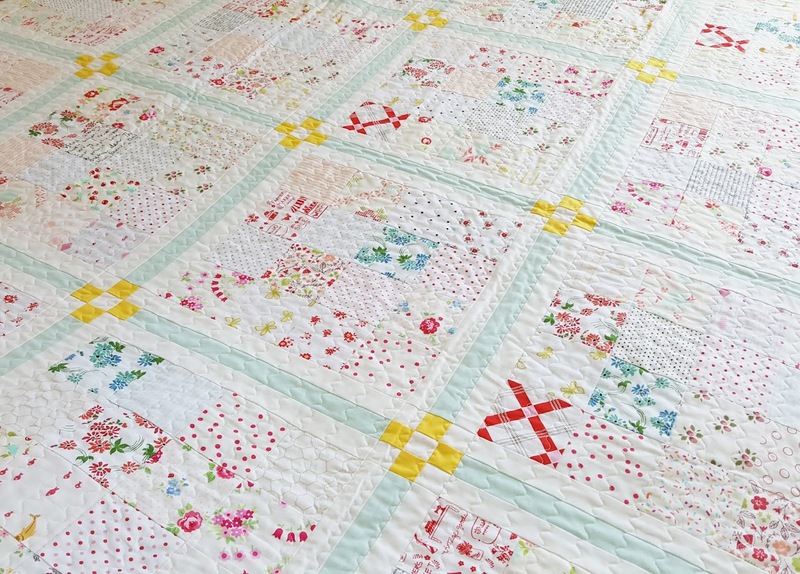 I STILL need to finish that quilt, I have bad associations with it, haha. First of all, Chamomile starts April 1st as you know. I'm excited for that one! 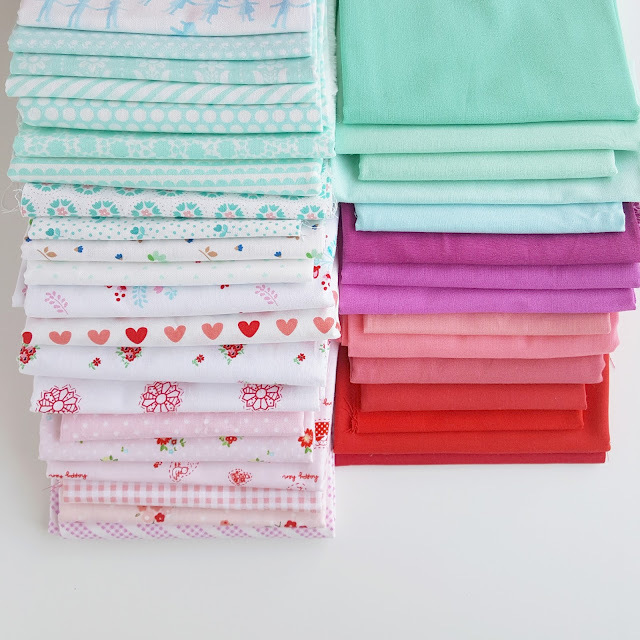 Right now we are picking and posting fabric. Olie and Evie has cute kits if you're still looking! This summer as we will be gone for most of June (I'm coming for you Utah quilt shops!) 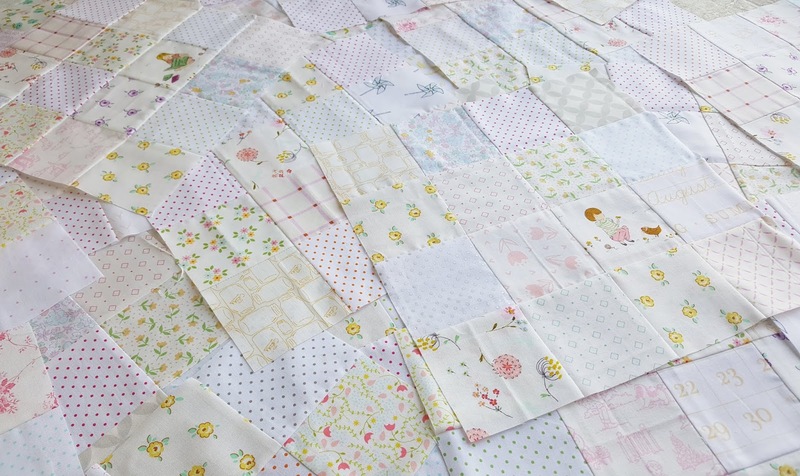 but I'm going to do a very casual Rise quilt along. I have this block done and this pull ready to go. This one is so fun!! Fall will be all about First Snow! 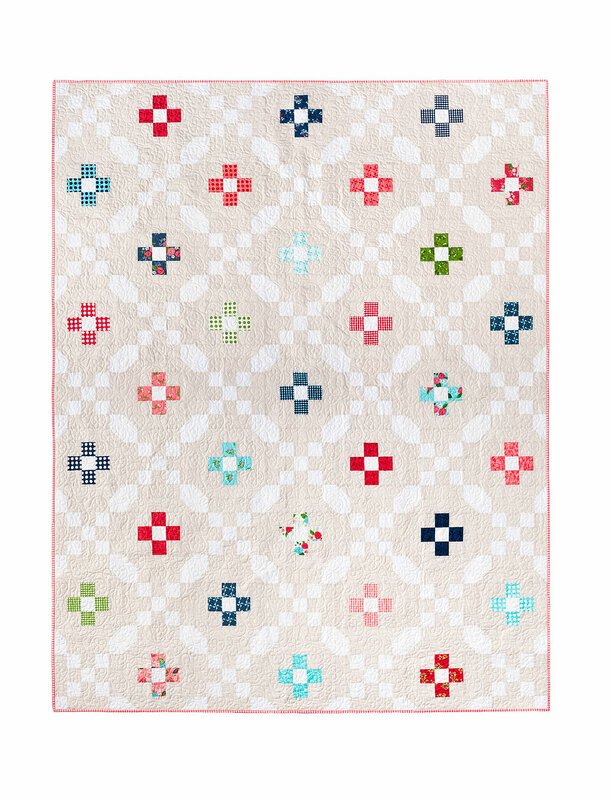 I wrote that pattern to include two color placements options for the same block. 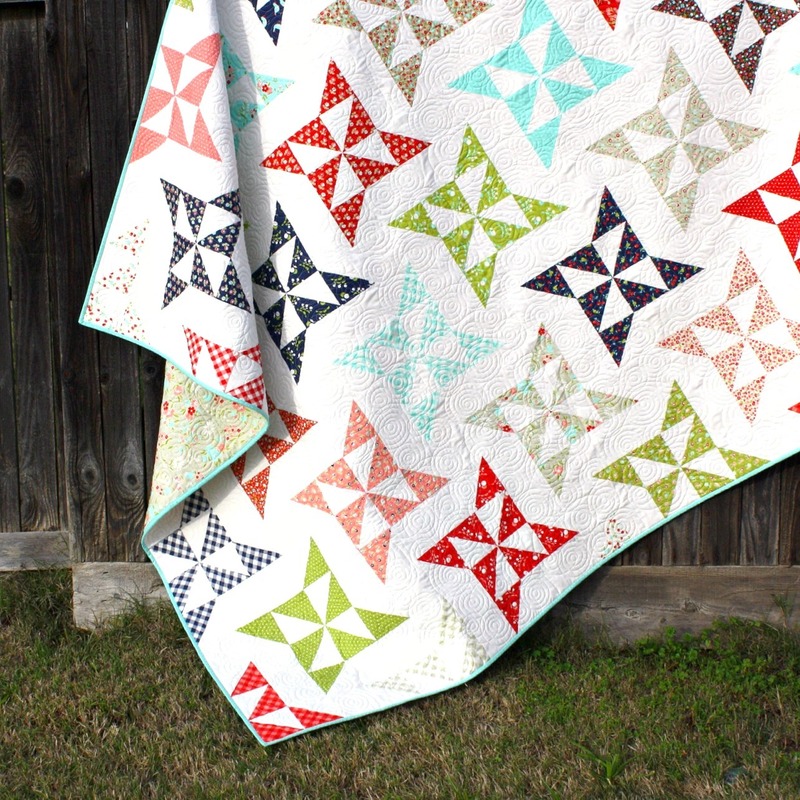 For the pattern release, I made the B version with solids. Julia @redrainbootshandmade sewed the A for me, bless her heart! 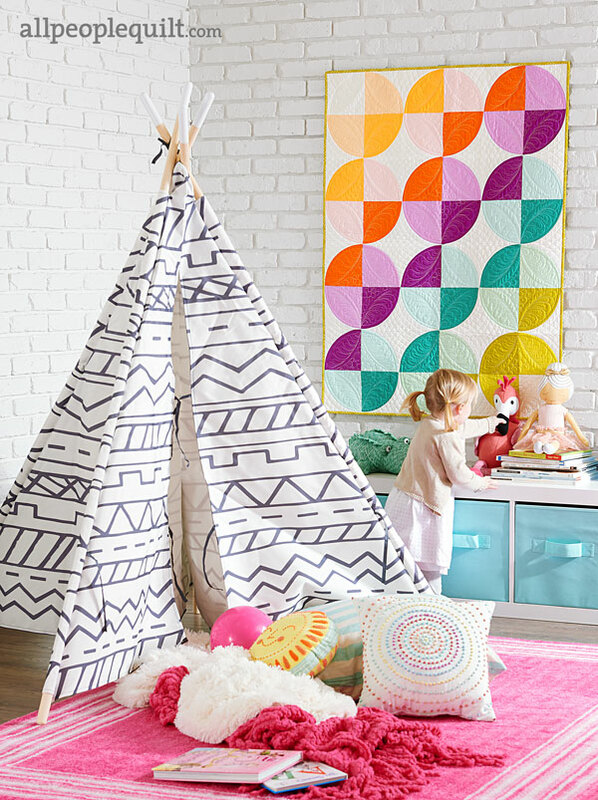 I've always wanted to make an A version for my house, so that's my plan. 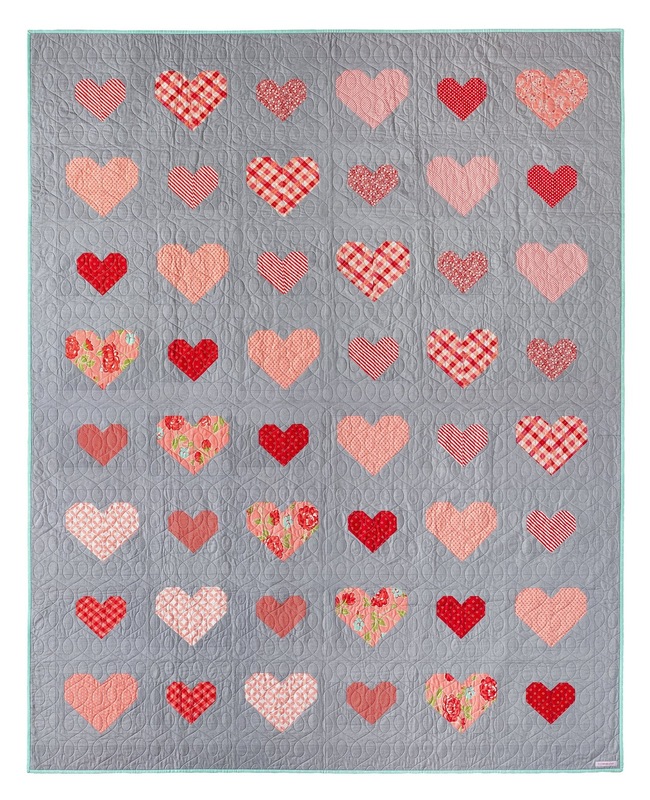 It will be a lot like the one I planned for her, though I may add a navy block or two. 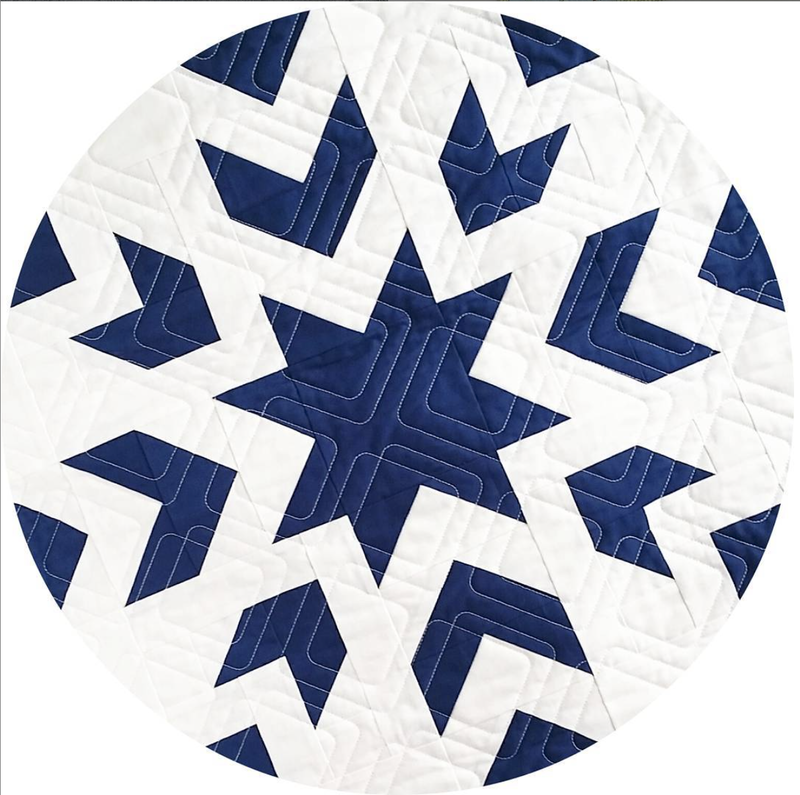 We will sew snowflakes from September to November, and hopefully have tops ready to quilt for Christmas time! In the new year, it will be time for Where Love Is. 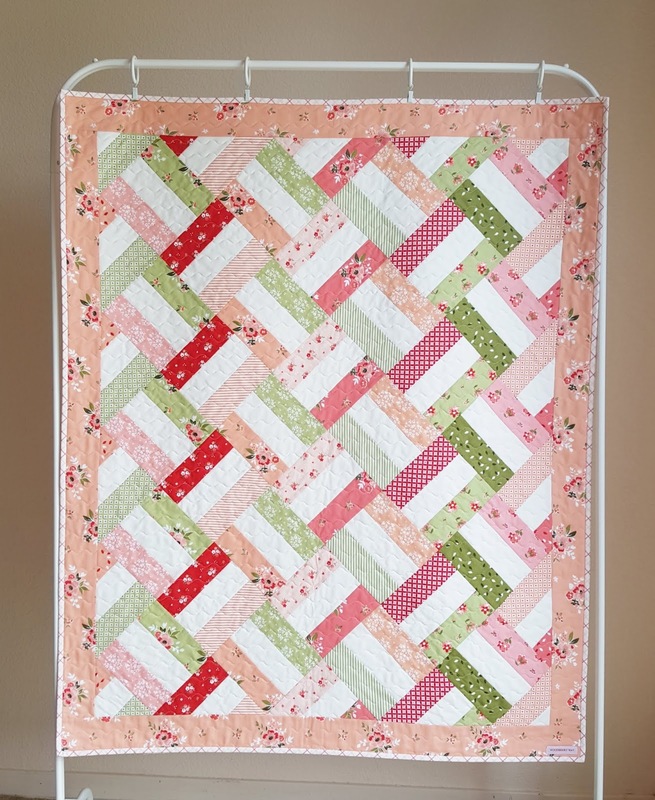 My original quilt had a grey cross weave background. 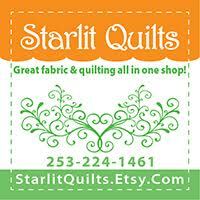 Photos by Quilt Photography Co. 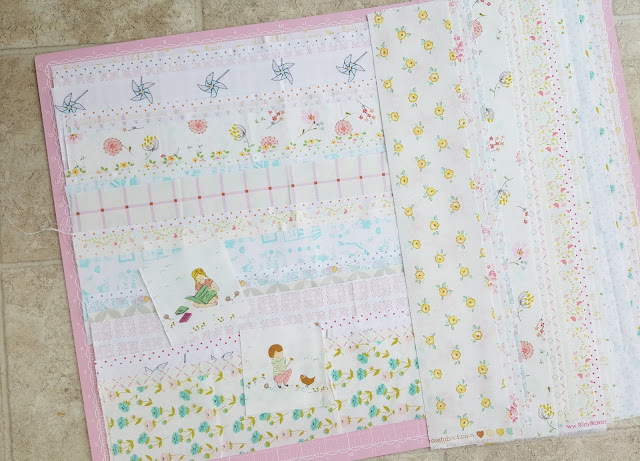 This time I'm taking inspiration from @sissybellesews and @twoheartssewing and doing scrappy background for each block. 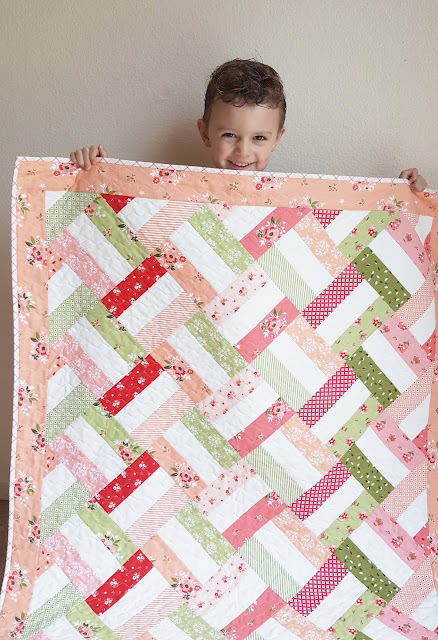 I'm actually adding scrappy FQ cutting instructions to the pattern, I'll email them if you've purchased it already! I was only supposed to make 2 test blocks to make sure I liked my plan, but I got a little excited! These are going in a box until January now, promise. 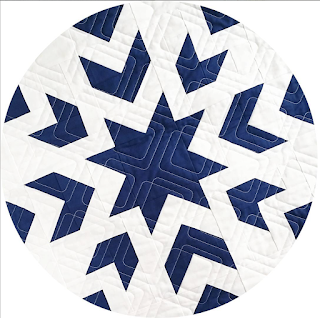 I also want to do Star Kisses, but I can't decide what kind I want to make- Patriotic, Christmas, Liberty, so many good options. I'll save that one for next summer. Another thing I'm accountable for now is having the paper patterns ready. 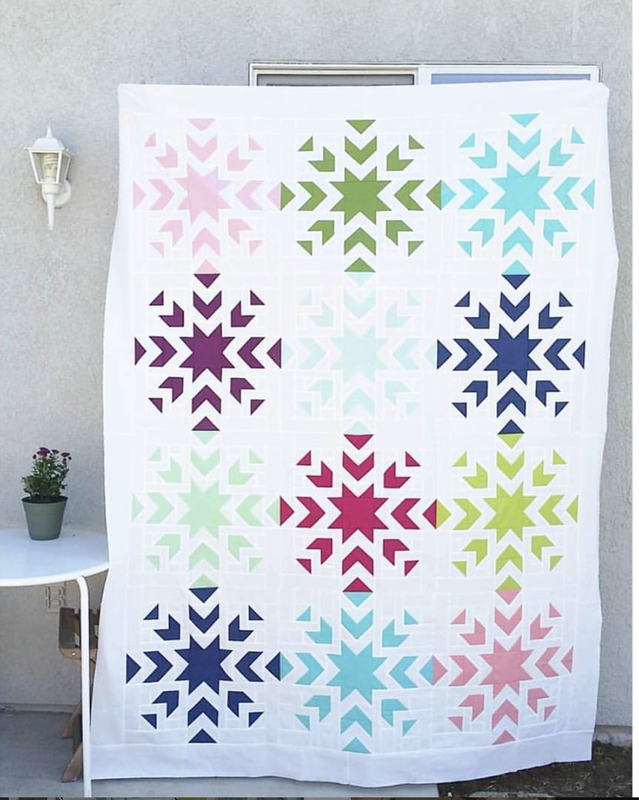 I tend to put off computer work but I've made great progress on this so far this year and am excited to have them all available in paper form by the time of the quilt along! So which one would you like to join? 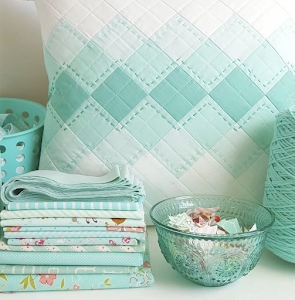 What else is on your quilty bucket list? 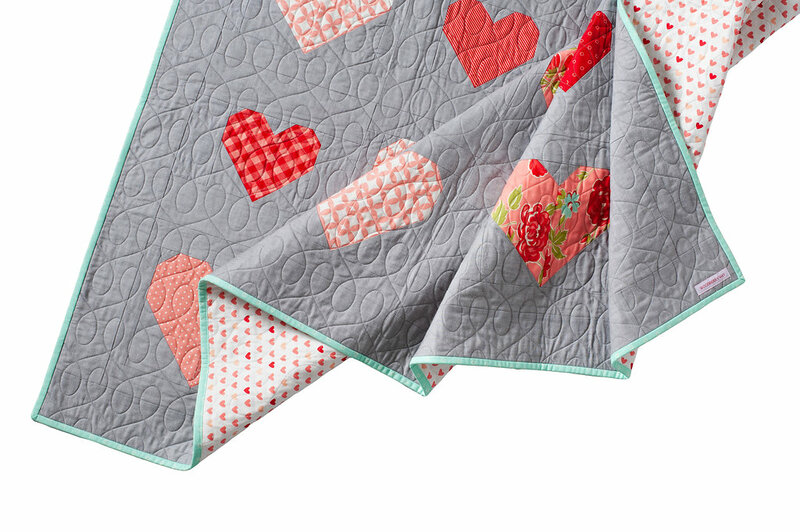 Do you too love quilt alongs? 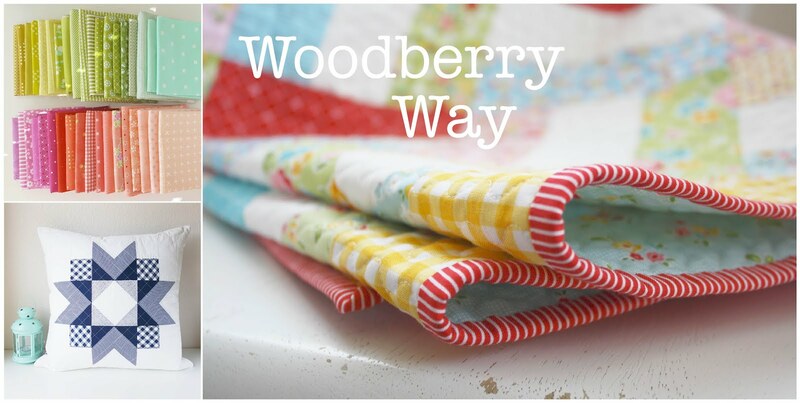 It's been 3 years this month since the birth of Woodberry Way! I began by starting this blog, and releasing my first free pattern- Baby Basket. 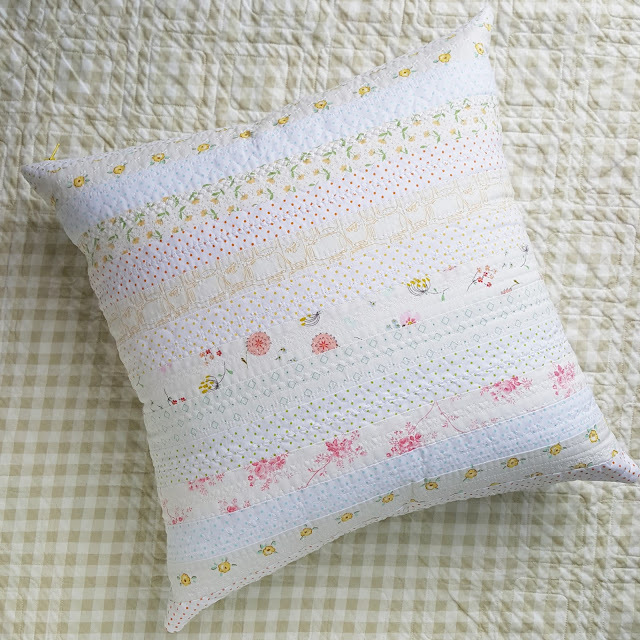 You can get the free Baby Basket pattern here. I've made this pattern several times now, it's so easy and fast. You can read about my first two versions here. 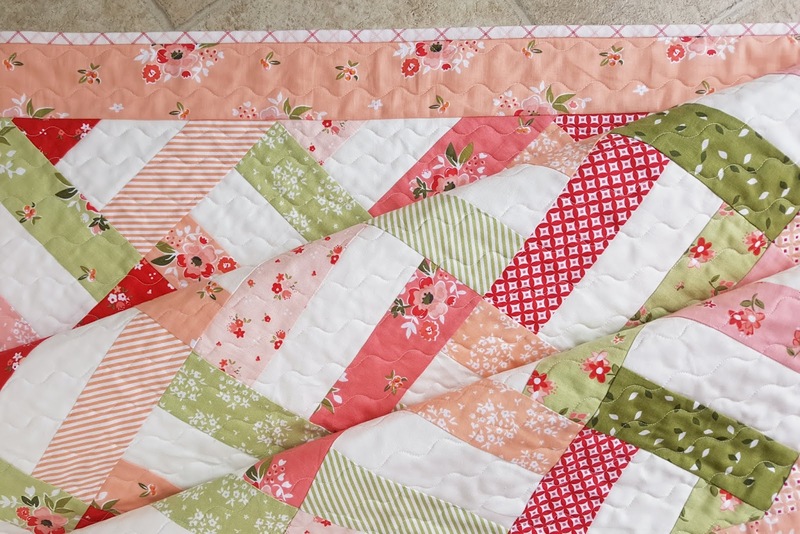 This time I used Summer Blush by Down Grapevine Lane for Riley Blake. 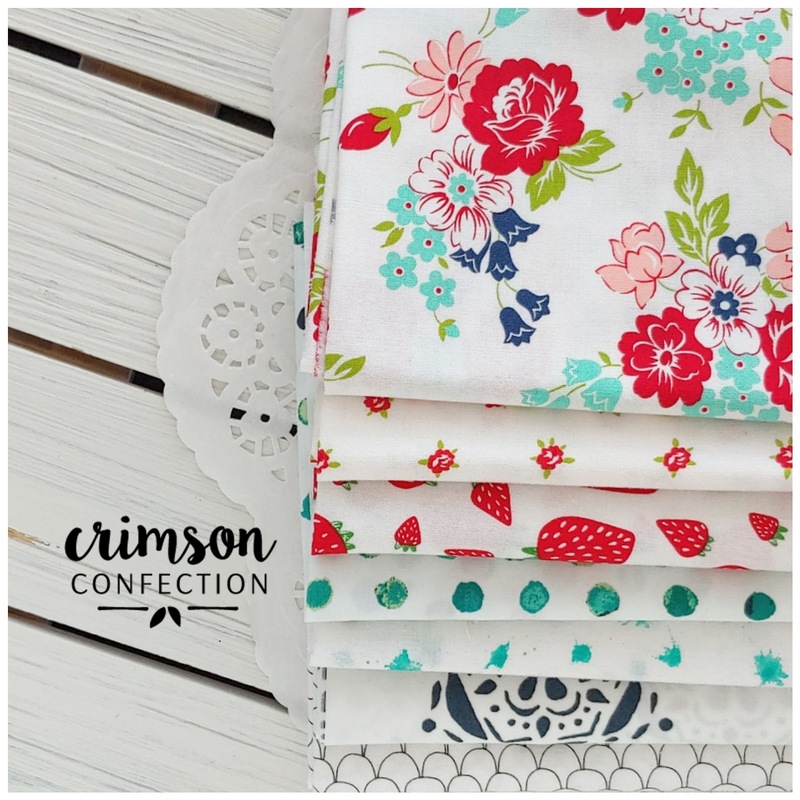 It's a gorgeous line! 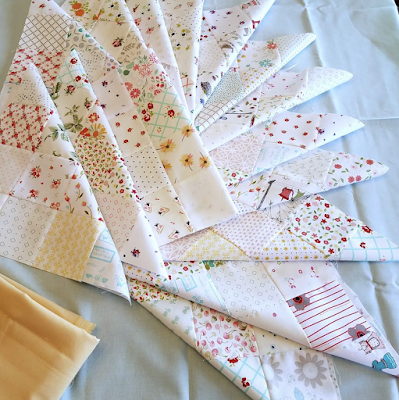 I used Bonnie and Camille Smitten for the binding (a happy match don't you think?) and scraps for the backing. I quilted it with an automated squiggle stitch on my Husqvarna Viking Opal 650. 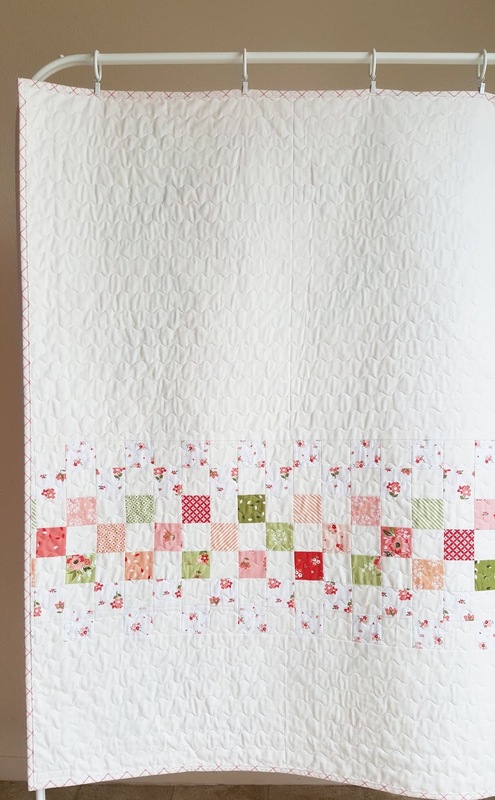 Using the cutoffs from the front of the quilt and two leftover white strips, I pieced together this sweet little underside quilt. 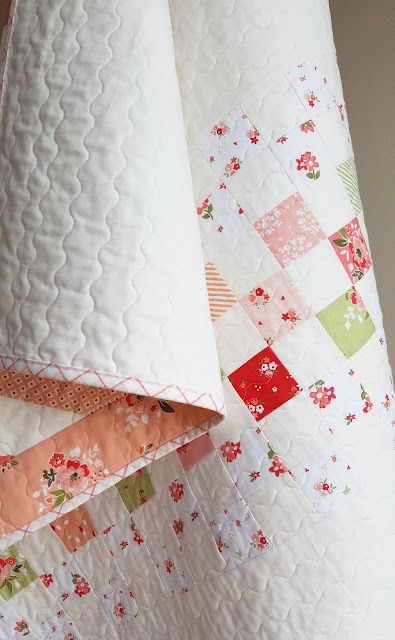 It was so satisfying to use up those scraps in the very same quilt to make something beautiful, even if I didn't match my whites perfectly (see a few posts back). 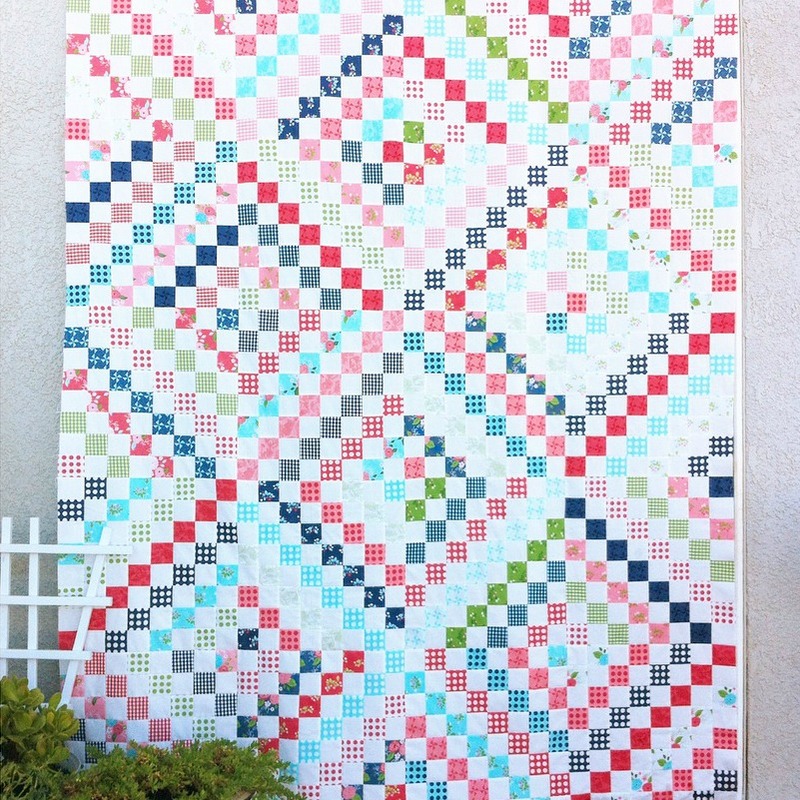 To celebrate the birthday, I'm giving away a kit of fabric for everything you need to make this quilt top. Backing and binding not included. Head over to Instagram to enter! 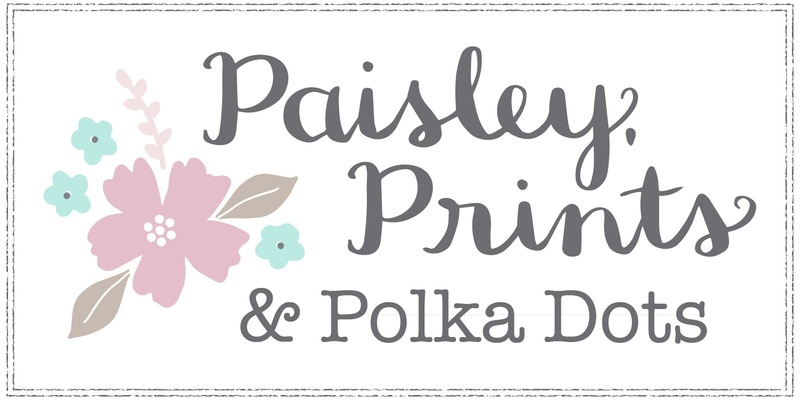 I'm so grateful to those of you who check in here, share your thoughts about it in the comments, make my patterns, and sew with me! 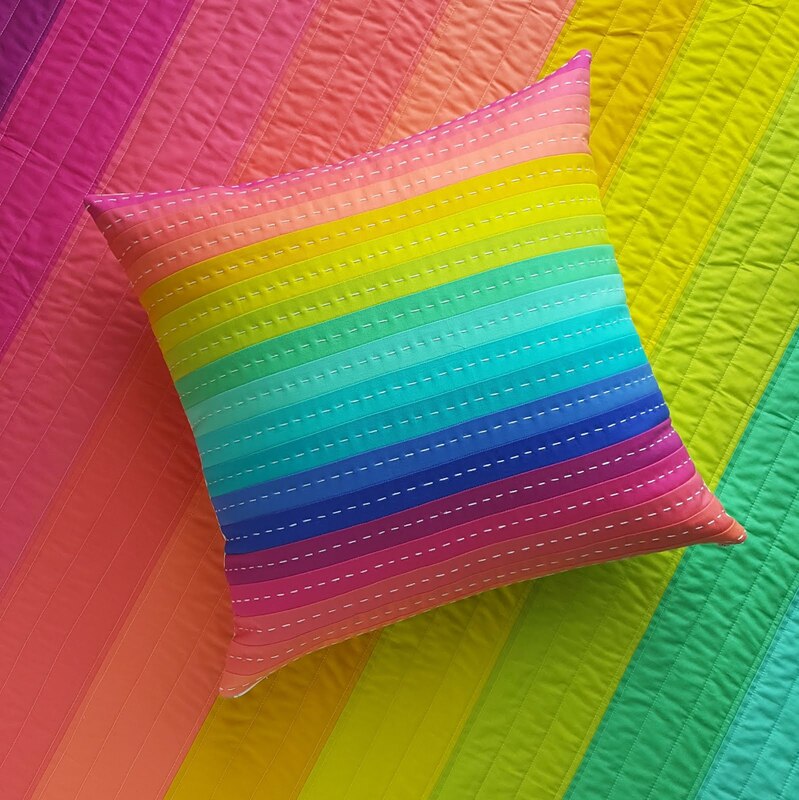 Thank you for being here and loving quilts with me. It is a joy!